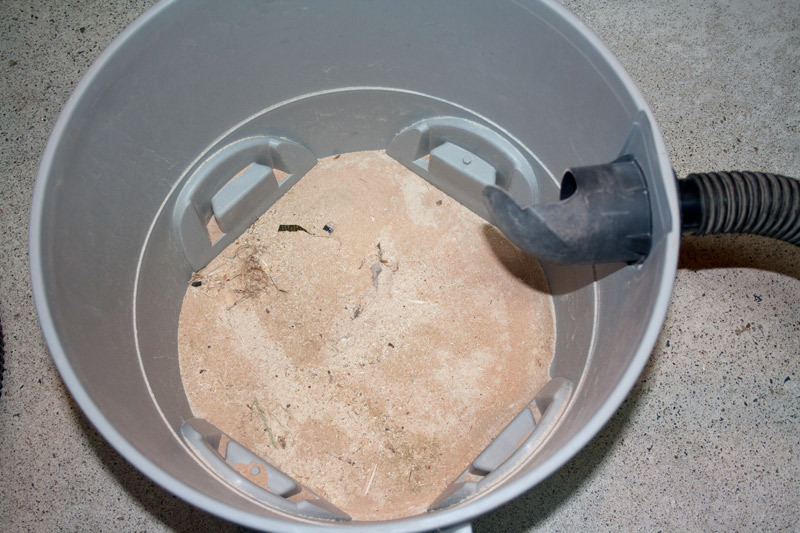 After many years of abuse, my old Shop-Vac was finally dying. So I bought a new one a decided to convert the old one into a dust collection bin. 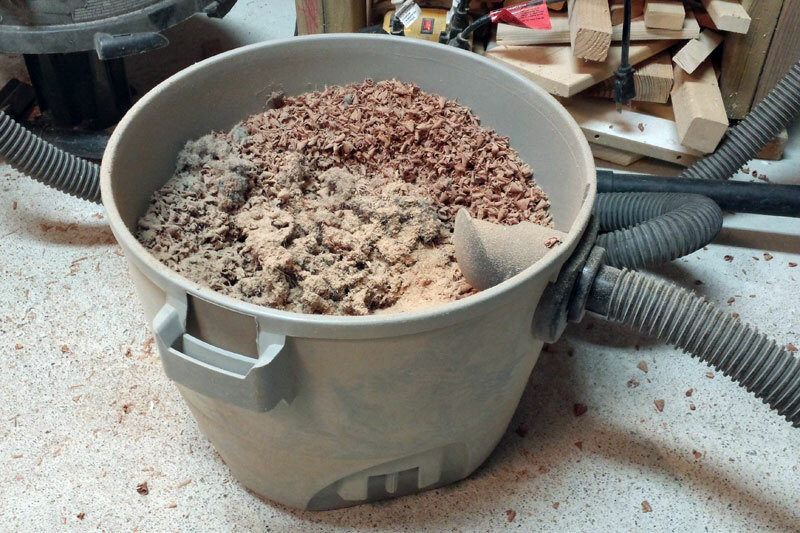 In this article I will show you the steps I took to create a dust collector that hooks up to the new Shop Vac. 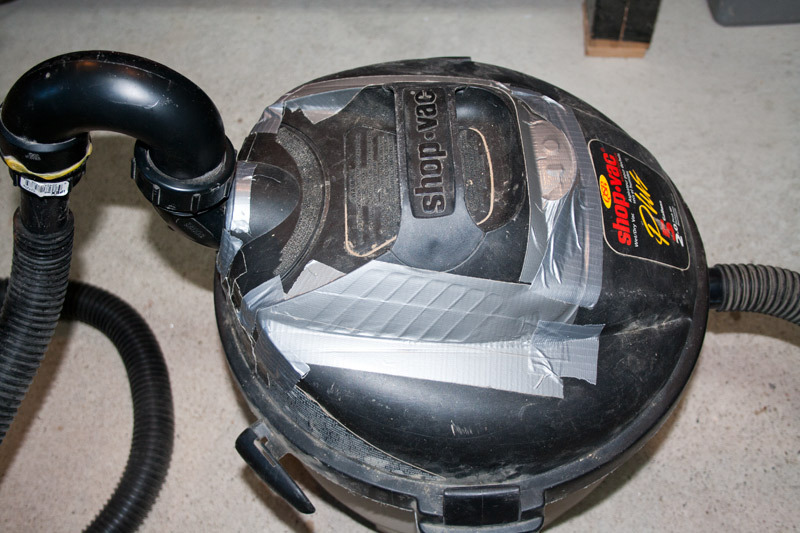 Cover all the holes with duct tape to create a vacuum. After using this system for almost one year now, I must say that I really like it. 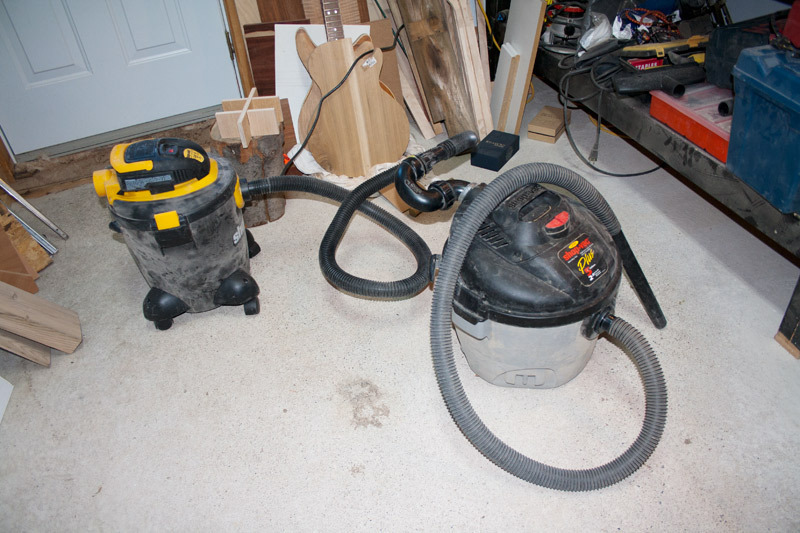 Although it’s more cumbersome to have 2 shop-vac units in my small garage, it nevertheless provides more range. 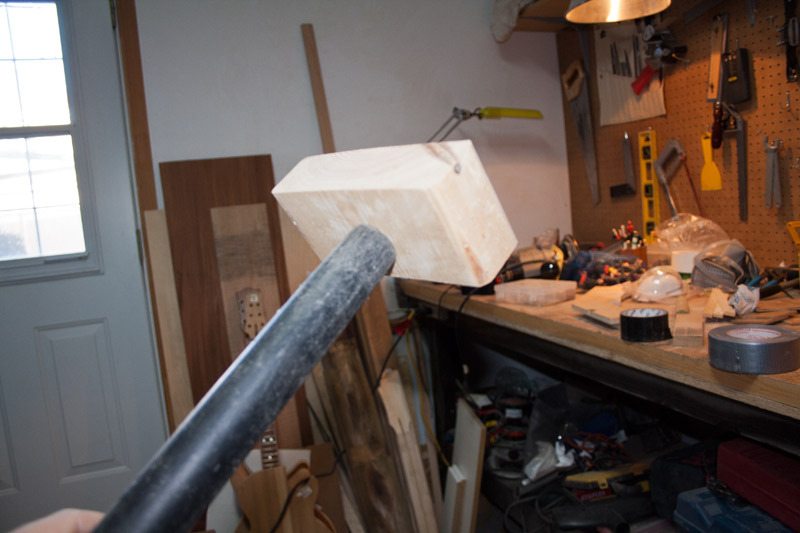 I can usually leave the engine-part at one place and simply move the dust bin-part around. 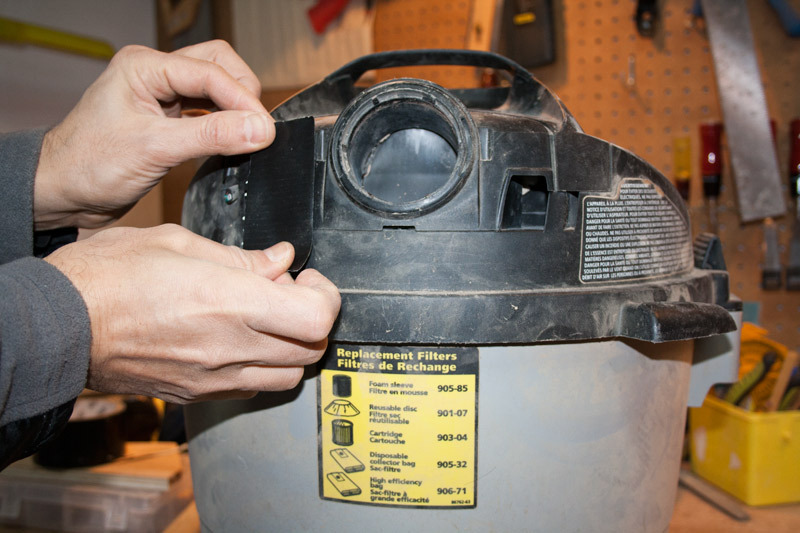 I will need to replace the duct tape because it’s starting to dry out and peel off… which weakens the vacuum. After using it for a few months now, I can say that it works very well. 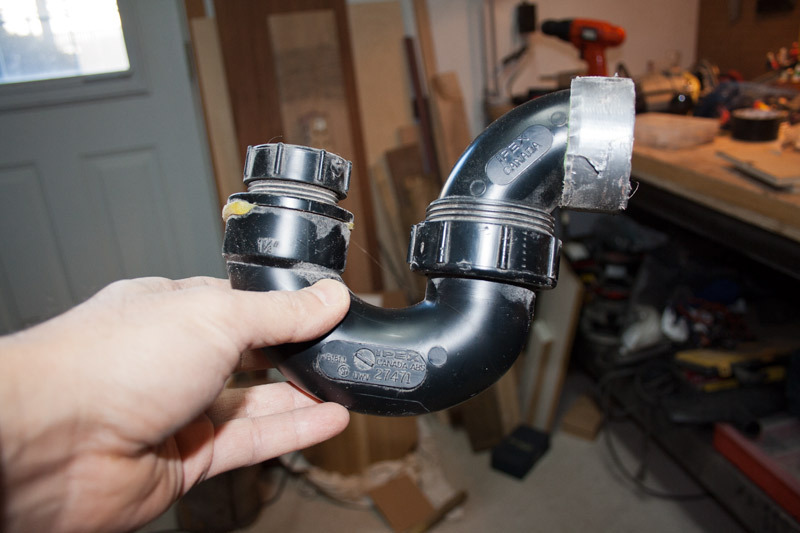 But you really need to plug all the possible air leaks to create an efficient vacuum.